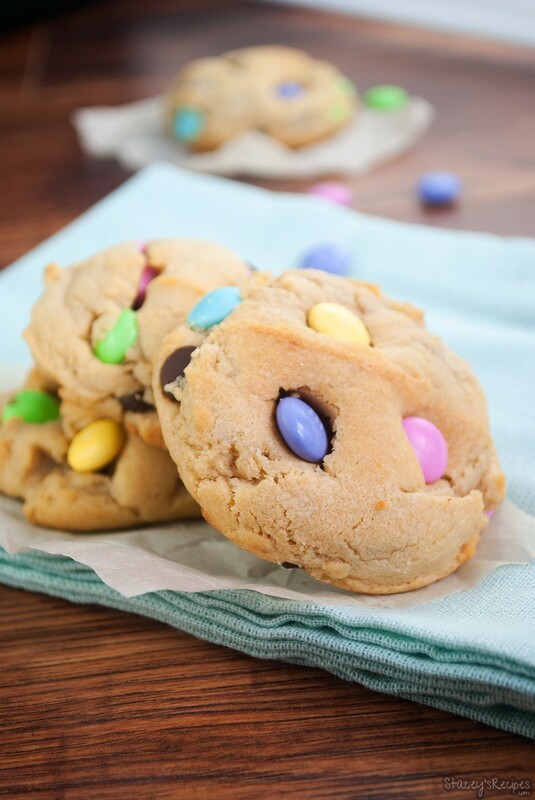 Thick, chewy soft-baked cookies loaded with pastel M&M’s just in time for Easter. Happy almost Easter! Do you all get a long 4 day weekend? I hope you do, and that you get to enjoy lots of family time and loads of food. That is exactly how I plan to spend my weekend, which starts on Saturday at 6pm. Wahoo. 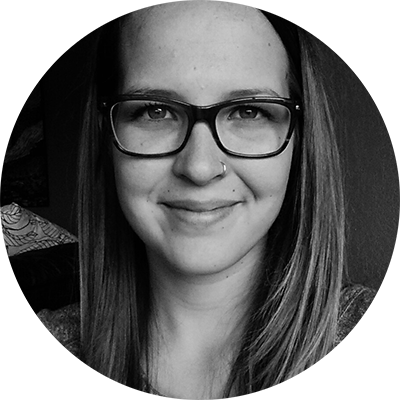 Now, I also have some very exciting news!! I have decided to take a step back from working behind the chair, which was an extremely hard decision. But, I am ecstatic. This Saturday will be my last day doing hair. Lucky for you that means I’ll have way more time to write you run on sentences, and have more recipes to share! Want to know the thing I’m most excited for? I know you just neeeed to know the answer. Not working Saturdays, I don’t really remember the last time I had more than one Saturday off a year. Yep, I’m pretty freakin’ excited. Anyways, let me tell you about these dreamy cookies. Why are they so dreamy?! 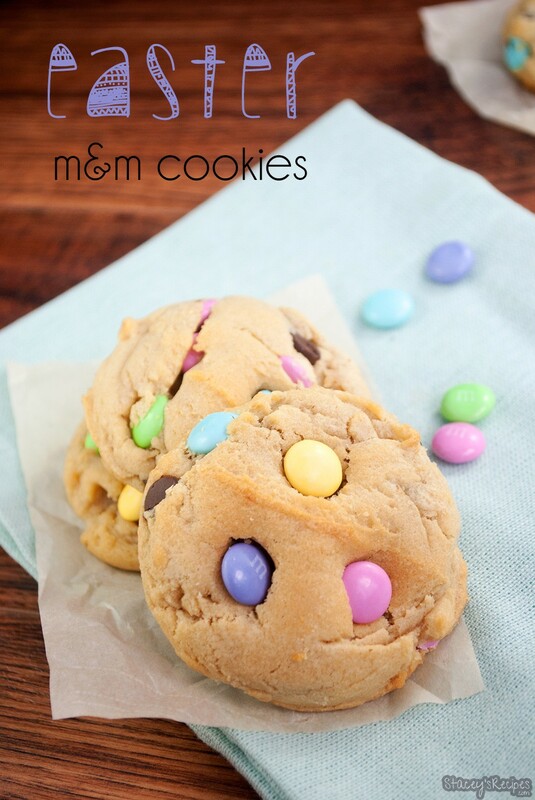 Look at all those beautiful pastel M&M’s jammed packed into the best cookie ever! And they taste pretty darn good too. 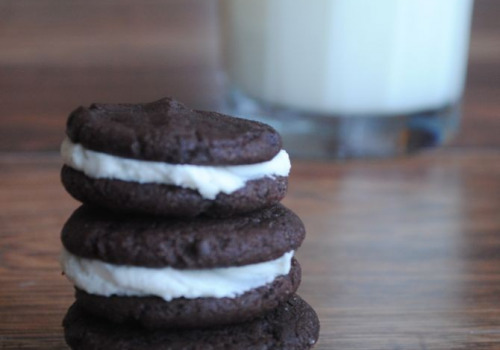 Now if you read my blog often, you’ll know how much I love cookies. Especially chocolate chip. But they have to be slightly under cooked on the inside, thick and chewy, with a slight crisp on the edges. 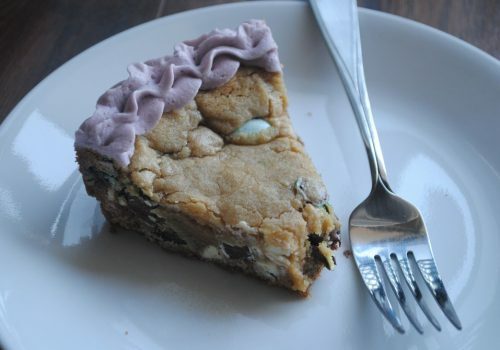 I’m a pretty picky homemade cookie eater. So if you like any of the things I just described these cookies are for you. As well as these ones, and these ones, and probably these ones.. 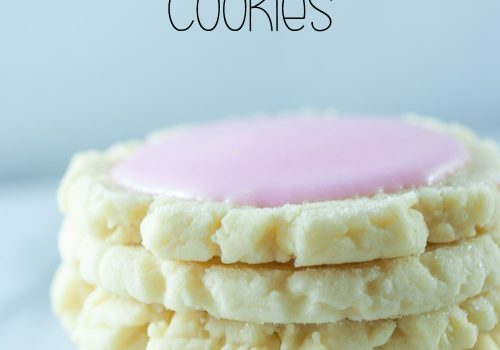 Along with all of those other recipes, these cookies are so easy to throw together, no mixer needed. Yep just a few bowls and a spatula. Easy peasy. 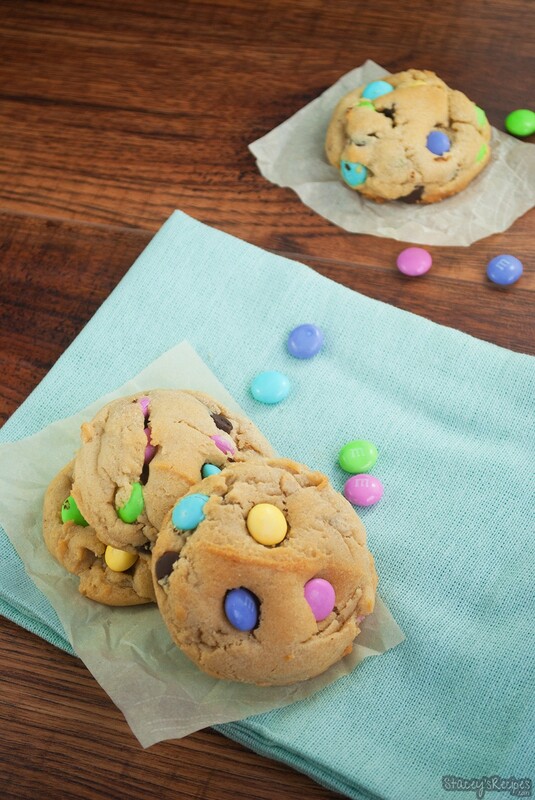 Throw these together for an after Easter egg hunt snack! Enjoy your long weekend! In your large bowl whisk your dry ingredients together and set aside. In a medium bowl whisk together the melted butter, brown sugar and white sugar until no lumps remain. Whisk in the egg and the egg yolk until combined, and then add the vanilla. Pour the wet ingredients into your dry ingredients and stir with a wooden spoon or spatula - the batter will be very thick. 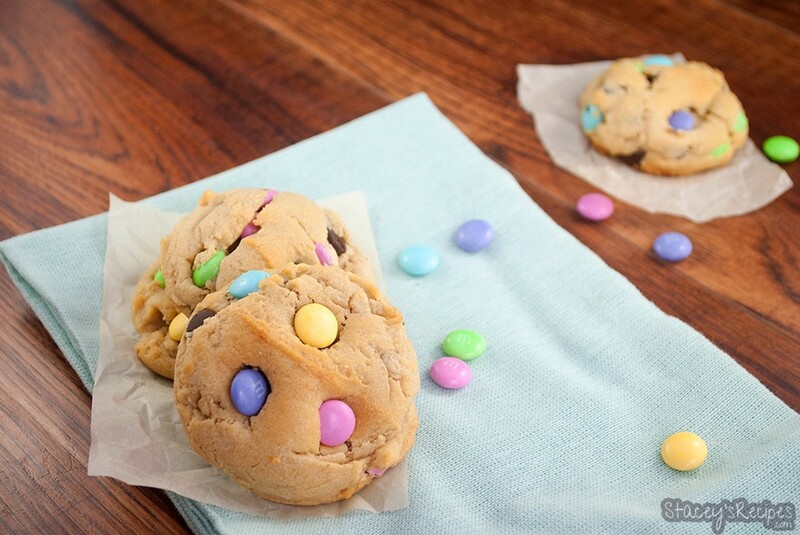 Fold in your chocolate chips and M&M's. Cover your dough and chill in the fridge for at least an hour, or overnight - chilling is mandatory. Once you've removed your dough fron the fridge preheat your oven to 325 degrees and line your cookie sheet with your Silpat or parchment paper while your dough softens to room temperature. Roll your dough into balls - about 2 tablespoons each - be sure to roll your cookies taller than they are wide to ensure they stay thick once baked. Bake the cookies for 11-12 minutes - they will look under baked but they will continue to bake on the cookie sheet once they've been removed from the oven. Once you've removed your cookies from the oven you can press a few M&M's into your cookies to make them pretty, this is optional but I love the how pretty they look! Let cool for 10 minutes before transferring to a wire cooling rack.